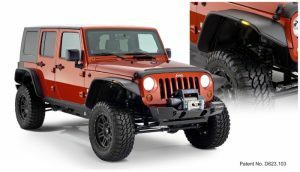 Be ready for anything – equip your Jeep Wrangler with Bushwacker Flat Style Fender Flares. They’re the first and only flat style flares made to absorb impact, using our proprietary Dura-Flex® 2000 TPO – the thickest, most flexible material available. Flat Style Fender Flares maximize your tire coverage and wheel articulation for severe off-road use. 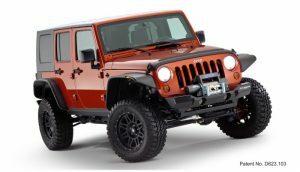 Yet they’re carefully engineered to install with a minimum of extra tools and bodywork (see the installation guide for your specific vehicle for details). 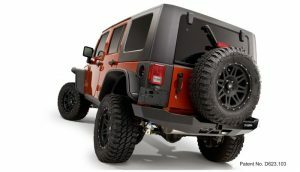 For example, our mounting brackets bolt straight onto your Jeep for added strength and simpler fitting. Our design integrates neatly with the factory rocker guards, and incorporates DOT-compliant LED side marker lights and fully molded wheel well protection. The flares are 100% UV protected to stop chalking in its tracks. If you want the look – and the real-world performance – that best fits an American icon, nothing goes with your Jeep better than Bushwacker Flat Style Fender Flares. 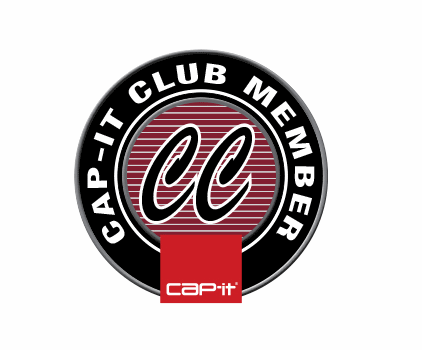 Installs easily with minimal drilling and cutting. 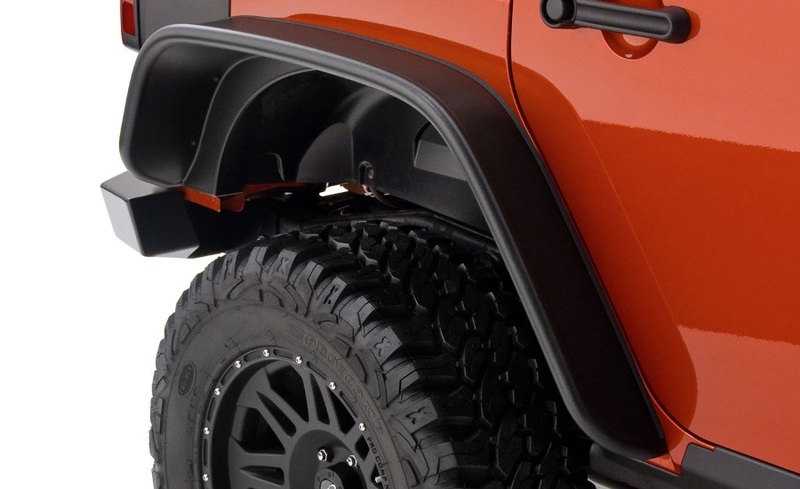 OEM textured black finish has an OE-quality style. 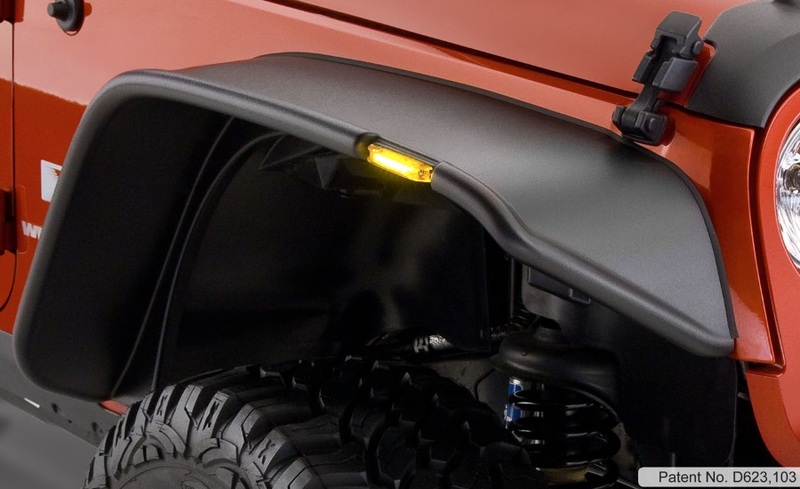 Incorporates DOT-compliant LED side marker lights.